While on an out-of-town trip with some friends, we decided to stop by SM City San Pablo for lunch. It was our first time there and SM sure made the most of their lot. They had their staple department store and grocery sections but only an exiguous number of restaurants. The good thing though is that SM City San Pablo did manage to squeeze in a small branch of Booksale among their many lessees. Highest marks SM! Anyway, I found a copy of Powers Volume 4: Supergroup and Volume 5: Anarchy[i] and decided to pick them up largely because of the Powers double-splash page homage that writer Joshua Williamson and artist Mike Henderson put into Nailbiter #7[ii]. What then is Powers? To be honest, I didn’t know much past it being a Brian Michael Bendis book. It turns out that Bendis and Powers artist Michael Avon Oeming use a very generous–and I do mean generous–amount of panels to convey a scene. I think by the time I am done reading these Powers books, I’d have my own Powers homage layout in mind for a future issue of ObIsessions. 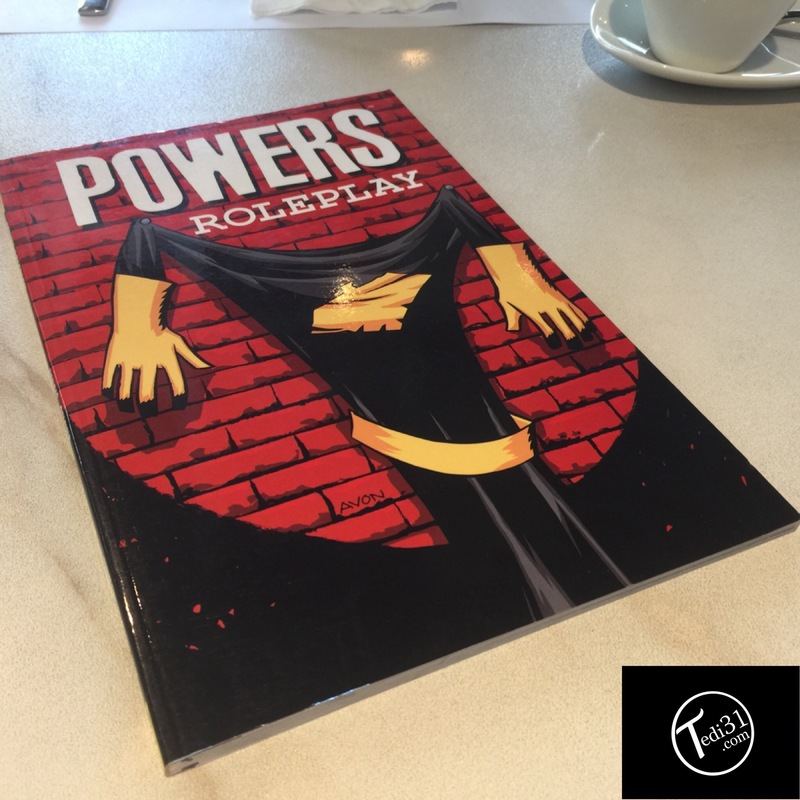 [i] The following day, I found and purchased Powers Volume 2: Role-play in Booksale’s V-Mall branch. Anyone know where I can get my hands on Volume 1: Who Killed Retro Girl and Volume 3: Little Deaths? This is a nice little quest since I don’t usually buy physical TPB’s anymore. You know, lack of space and all. [ii] If you haven’t read that issue yet, put down what your doing right now and read Nailbiter. Their 30-issue run ended last March 2017.